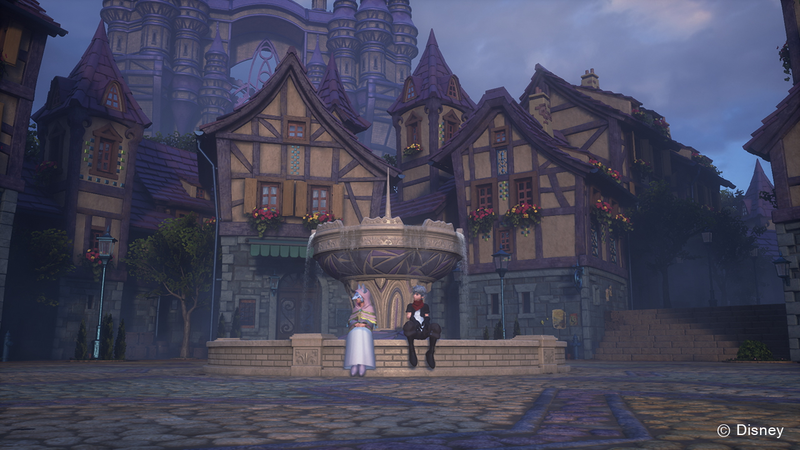 Square Enix has revealed the latest trailer and release timing for Kingdom Hearts HD 2.8 Final Chapter Prologue, due to be shown at E3 next week. 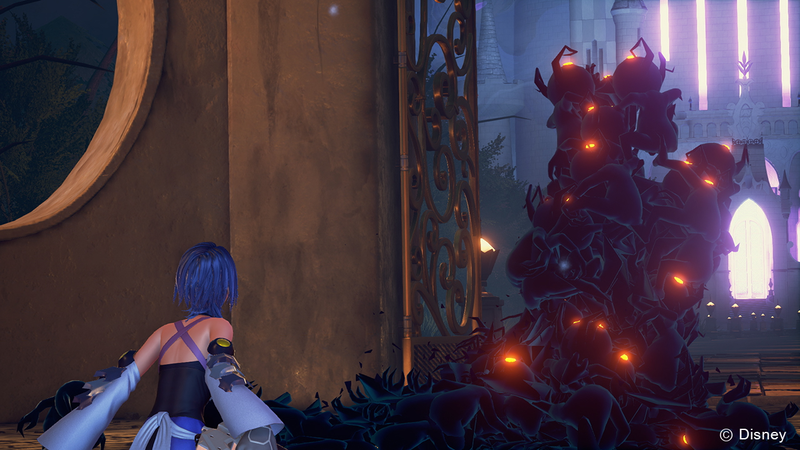 The trailer features Aqua and her battle against the Heartless as a precursor to Kingdom Hearts III proper. The game will be available for PlayStation 4 worldwide this December, with hands-on opportunities at this year’s E3. 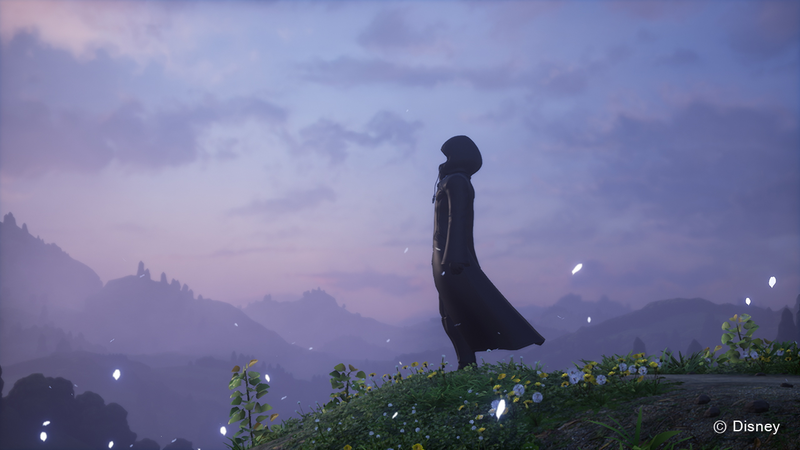 Not to leave too empty handed on news for “the big one,” the trailer promised news and announcements would be forthcoming this Winter for Kingdom Hearts III. 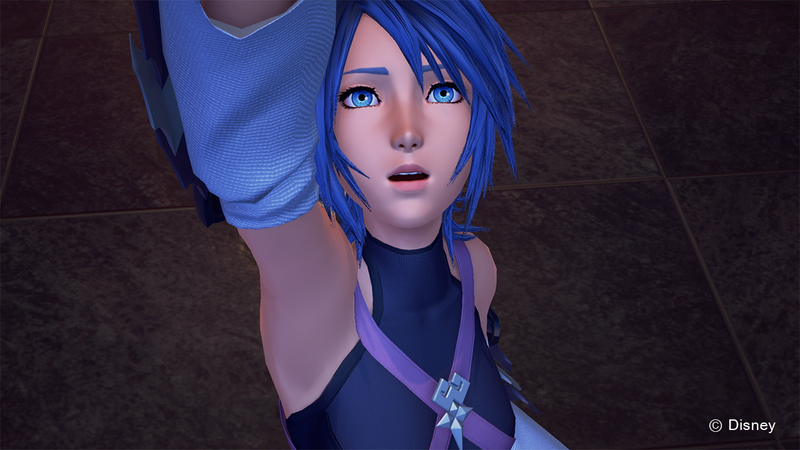 The collection contains a fully HD and playable version of Kingdom Hearts Dream Drop Distance, a movie tied in to the story of Kingdom Hearts Unchained X [Chi], and a brand-new playable episode of Birth By Sleep called 0.2 Fragmentary passage, seemingly following Aqua and her trek through the World of Darkness. Catch the trailer (above) and some new screenshots below. Posted in E3 2016, Kingdom Hearts, Videos. the graphics omg….yall get a 10/10 on the graphics….it’s amazing….. Looking at it, all i see is old versus prototypes. Weird how this UI ended up less cluttered than the XV one. It’s not taking forever to finish. It started development in 2013. The video gave me chills. On average, AAA games take 3-4 years to fully develop. I really don’t like how plasticky the characters look in fragmentary passage and back cover. 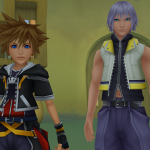 The closeups of Sore and Riku from DDD look much more visually appealing. But that’s me. The combat and magic effects looks amazing though. This is what I mean. This is good news. I’m proud of you Square. Its time to show everyone you still got it when it comes to RPGs. 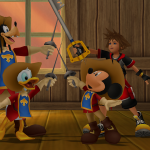 Nomura said they announced it too early, and that wasn`t his decision. Blame Square for always giving him multiple projects, not the man himself. XV UI is cluttered? Looks clean and simple to me. 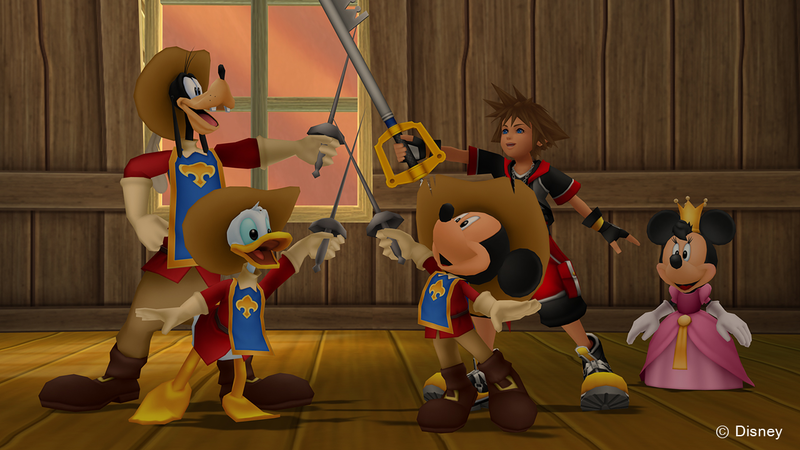 Nomura loves some sweet fight scenes. Respect. These days other than Tales games most games don’t have great scenes like these after the games intro. 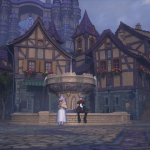 Aquas story is like KH3’s episode descae. Wonder if a pre-order limited edition or a CE will be announced at E3 2016, just hope manage one, still depressed I missed the XV UCE, but this half healed me. Aqua hell d**m sure is back, love her and her high definition design makes her more beautiful, I have goosebumps, her story is my favorite of BBS and loved every moment of her gameplay, and that moment Terra makes an appearance T-T, hope for a remastered and better yet Aqua vs Terra-Xehanorth battle once again, my fav part of Birth by Sleep, never get tired of that boss fight, and Dismiss track once again make a return, Ahhhh, many will scream of joy. Expecting Cinderella as well make an appearance. 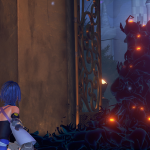 “My name is MASTER Aqua, return my friend’s heart or pay the price” – priceless Aqua bad**s mode. With 1.5 and 2.5 on PS3 already released and now 2.8 almost released along 3 still in development for PS4. 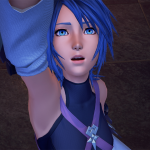 If we want 1.5 and 2.5 on PS4 I dont expected soon since it would halt KH3 more than it has already, but still a possibility depending E3 announcement but S-E is concentrated on 2.8, and seems no news on 3 after 2.8 release. As of now might be difficult since Nomura is now stuck with FF VII Remake, and this might put on hold development of 1.5 and 2.5 on PS4, but he has stated that if those are to be remade on PS4 it would be AFTER 3 is released. It started development in 2013 and has been on a very smooth development schedule ever since. Nomura said that he has a release window already planned, but Square won’t let him announce it yet. It will probably come out in 2017 to match up with the 15th anniversary of the franchise. Oh ground zero to MG’s phantom pain. Yeah. i’m sorry, it just seems like too much of a coincidence that it’s always his projects! Geez, I hope so, cause the influx of news we’ve been getting for it has been minimal and makes you think the game is literally non-existant! 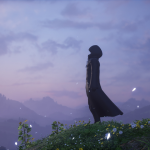 But, this is Nomura we’re talking about and the same thing did happen with Versus XIII and I suppose everything worked out there -oh no, wait! It was scrapped and re-structured into a new game and he was replaced so that they could get it out sooner! Like I said, he needs to get it together. He may be great as a designer, but as a director, not so much. Maybe take a page out of Tabata’s book and keep in contact with the consumers…? That wouldn’t hurt, just so we know what’s going on. I know, right? I really hated how the last trailer, from Jump Festa, made them look all plastic and waxy. Yen Sid’s beard and Mickey’s face were just awful. Thankfully, this trailer does seem to have toned it down some, and I’m hopeful that it’ll look really good in the final product. It’s only been three years and in that time he’s also done three remaster collections for the series. In the grand scheme of things, it’s not really that long a wait. He even said that he jumped the gun on announcing KH3 because it was too early. Even if it comes in summer of 2017, that’s only a four year development cycle, well under FF Versus XIII’s ten year cycle. Waiting for a game for four or even five years isn’t actually that long and it’s often worth it, instead of series that force a release every year – I’m looking at you, Assassin’s Creed. 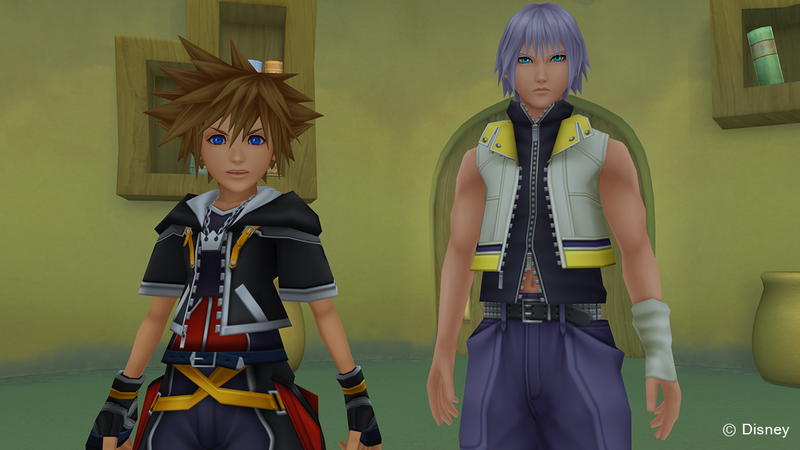 Wasn’t the distance between KH1 and KH2 about three or four years? And they weren’t working with a new console and engine, as well as multiple consoles, between those two games, either. More than likely he was replaced as director of FFXV in order to turn his full attention to KH 2.8 and 3. Since he’s been the director of KH since the very beginning, it’s a little much to say he’s not that great at it, since you wouldn’t even be a fan if you didn’t like what he’d done already. Not to mention, he has no control over what he is and isn’t allowed to send to the customers. That’s entirely SE. Tabata is allowed the freedom he has because SE needs FFXV to do extremely well. KH isn’t under the same threat that FF is. They don’t need to be extremely transparent and, essentially, placating. It wouldn’t hurt them, though, to do that and I think SE is beginning to get that message. two days ago grey McLaren. P1 I bought after earning 18,512 Dollars..it was my previous month’s payout..just a little over.17k Dollars Last month..3-5 hours job a day…with weekly payouts..it’s realy the simplest. job I have ever Do.. I Joined This 7 months. ago. and now making over hourly. 87 Dollars…Learn. More right Here !tl941u:➽:➽:.➽.➽.➽.➽ http://GlobalSuperJobsReportsEmploymentsTripGetPay$98Hour…. .★★★★★★★★★★★★★★★★★★★★★★★★★★★★★★★★★★★★★★★★★★★★★★★★★★★★::::::!tl941o….,…. He was replaced because of his incompetence. When Tabata took over, he made an overhaul on the team so that it would be able to function properly! Just imagine the mess Nomura must’ve left him with!